I Spy With My Little Eye…Something Hanging in a Tree (and it’s not a monkey)! When you live in a tropical paradise, nature astounds you almost everyday. Sometimes it’s a walking stick that emerges from the camouflage of the forest, or maybe the soft hooting wake-up call of a Motmot early in the morning. And then sometimes life in the natural world takes a more dramatic turn. 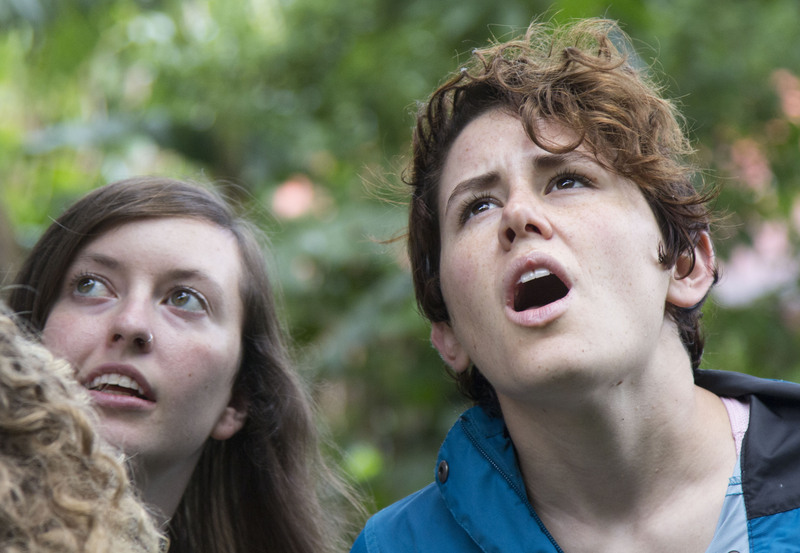 Landscape architecture intern Olivia Stockert reacts to a wildlife sighting. 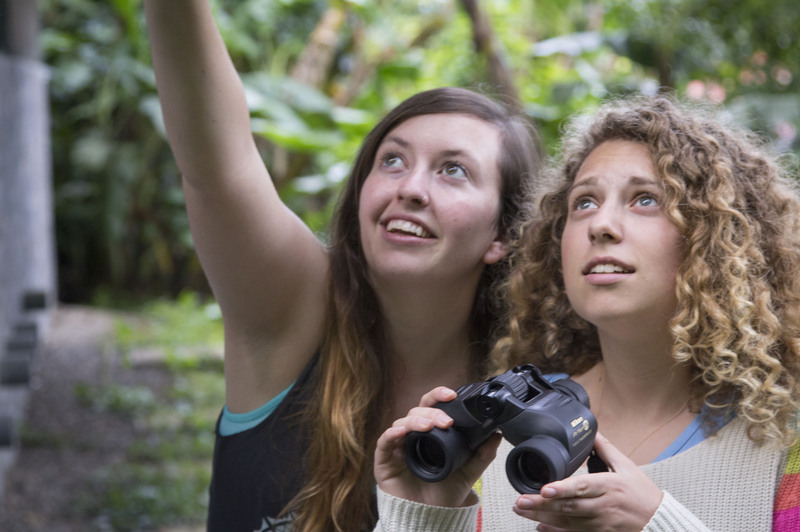 Resident naturalist Sarah Kelehear shows Sam Morton a special nature sighting. One recent sighting prompted almost everyone on campus to drop their afternoon activities and run to a tree just outside our lavandería. 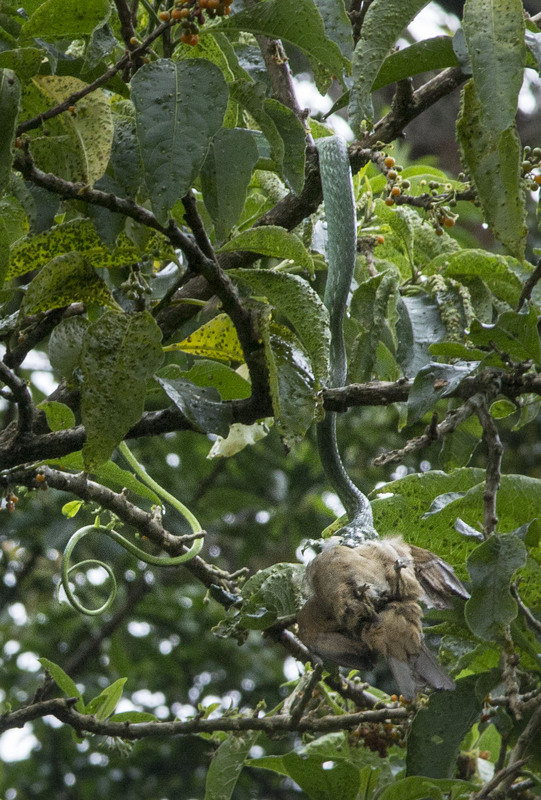 Sitting in the tree was a green vine snake, made visible only by the clay-colored robin hanging from his jaws. Reactions ranged from horror to amazement, but all were fascinated. Earlier, staff members in the laundry room heard the birds chirping furiously. One of our housekeeping employees, Amalia, said the birds usually act this way when a snake is nearby. Sure enough, when they took a look outside, the snake had found a meal. A small crowd gathered to watch the snake’s progress. 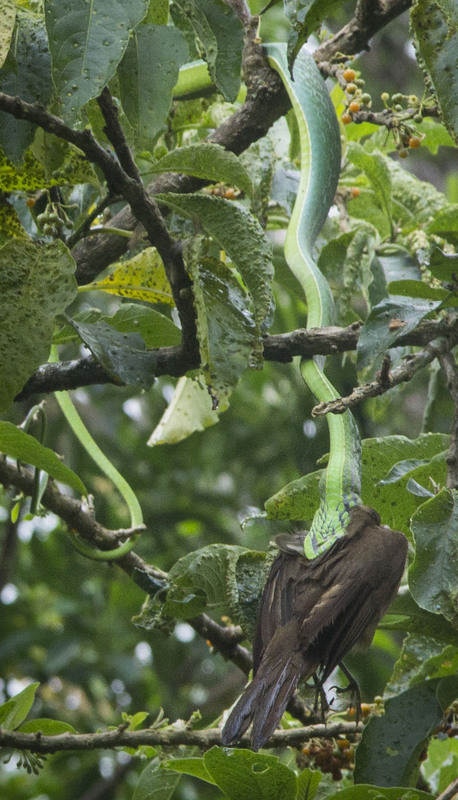 The onlookers shouted each time the snake readjusted his hold on the bird. The sun began to set as we watched the snake make progress on his impossible dinner. He attempted time and again to get around the bird’s wings. And then — he dropped it and it fell to the ground. “What a waste,” someone said. 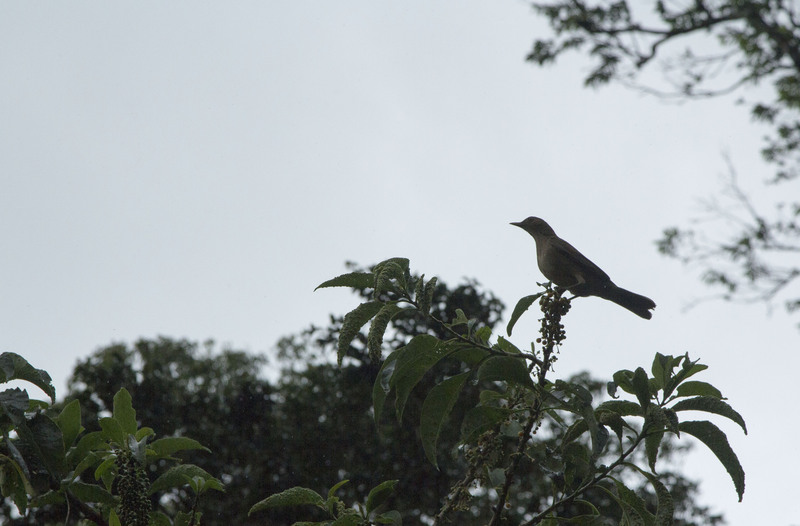 Another clay-colored robin watched the scene from the same tree before flying off alone. We can only speculate about his relationship with his fellow robin. But perhaps it would bring him some comfort to know the snake’s ambitious strike was not in vain. A collection of insects, including ants and wasps, accomplished what the snake could not, and in the process reminded us what a complex and wondrous world we all share.